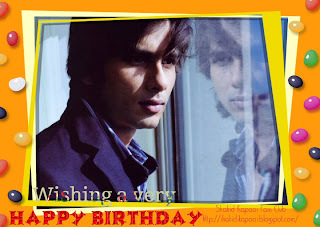 Wishing Shahid Kapoor a very happy birthday! He is someone, who has, in his own sweet and boyish ways, redefined the term 'acting'. Despite the fact that he has the DNA and the genes of two of the all time superstars, he preferred to wear off his jeans by slogging it out in the sun and make a name for himself! Did he succeed? 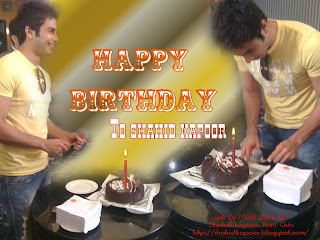 Well, he not just succeeded but also set unprecedented records… for he is none other than Birthday Boy Shahid Kapoor. After having lent his name to a million smash hit films, songs and also a zillion FMCG products, this dude is sitting on a goldmine, since he has his diary filled with appointments galore till the end of eternity! Such is his 'demand' over the 'command'! A testimonial to this stands in the form films ranging from Ishk Vishk till Kaminey. With today's birthday, the irony is that he not grows a year old, but he grows ten years younger! 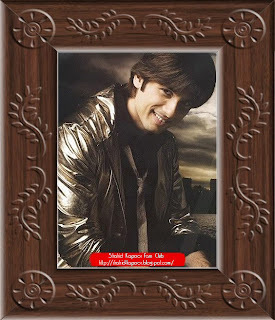 Such is the greatness of this 'sabka laadla chokra' called Shahid Kapoor. Check out Yash Raj production Badmaash Company movie poster, which is directed by Parmeet Shethi and film starrer is Shahid Kapur and Anushka Sharma.